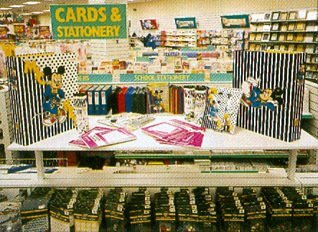 When the British Woolworth changed hands in 1982, the new owners identified its offer of stationery and books as a key strength. Closer examination revealed that the stores had achieved an enviable market share despite many of their products looking distinctly tired and outdated. While retailers of the era could be forgiven for continuing to feature imperial feet and inches, pounds and ounces and pints and gallons on their products, for a decade Woolworth had stuck with still older measures like furlongs and chains in tables on the back of its exercise books. In the 1920s the Buyers had been quick to spot the potential of character merchandise, becoming the first, for example, to licence the Mickey Mouse brand from a young Walt Disney. But over time this had been forgotten, as efforts focused on adopting the colour palette of the early 1970s with vivid cyan, magenta, orange and lime green packs and covers for own-brand lines. New leaders brought a fresh perspective, boosting sales with a bright new look with high kid-appeal. The style revolution established market leadership for the key back to school season, adding a touch of fun into the ranges, alongside strong promotions and competitive pricing. 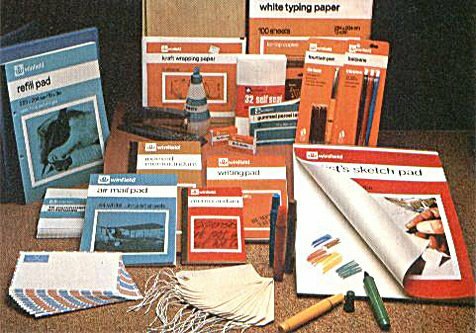 "Our stationery is no longer stationary"
Woolworth UK changed hands in 1982 after the US Parent sold its controlling interest to a British consortium. The new owners set about revitalising the brand, making radical changes. 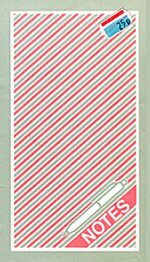 Stationery was identified as key improvement area. A new Commercial Director joined from House of Fraser. Mair Barnes observed that the luminous orange, cyan and magenta packaging was 'very 70s' and the conversion tables from yards to furlongs were 'positively prehistoric'. She initiated a shake-up, choosing new products in stylish packaging and keying the displays to younger shoppers. Sales and margins rose rapidly. Items were presented with a contemporary look pitched at children and young families. Pastel shades of grey, yellow and pink were used. 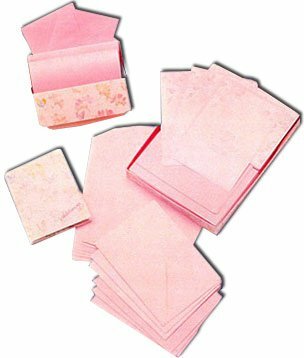 Quaint, dull manilla folders made way for vivid ring-book files with matching pencil cases and accessories. Mickey Mouse, who had first appeared on the counters before World War II made a very welcome comeback, helping to make Back to School into a positive rather than something for children to dread. The theme was carried through into television advertising, which featured squirty rubbers and cheeky chappy children in place of do-gooders of earlier times. Shopper numbers increased rapidly, with many more choosing to make a purchase. The new look was engineered to complement the stores' new ranges of Ladybird Clothing. Over time new counters were deployed which helped to show off the merchandise. 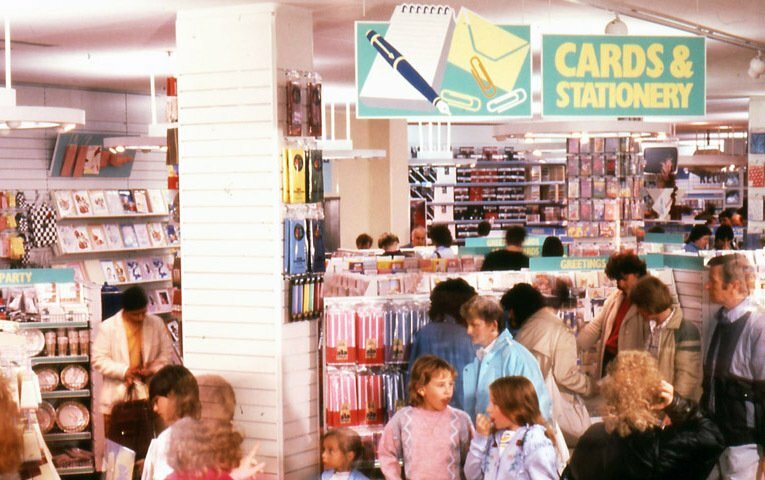 This bolstered the success of a new Kids Stationery range, which showcased colouring books, art materials, Crayola crayons and markers, alongside enhanced ranges of arts and crafts in the Toy Department. The design and display enhancements proved even more effective at Christmas. 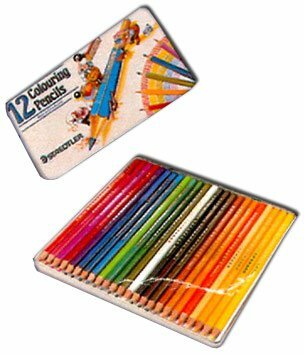 It boosted the sales of writing and pencil packs, which became popular stocking fillers, with other styles making good gifts for adults, hitting the mark with grandparents. Market-share started to grow, challenging W.H. Smith's dominance in the High Street. But the sales success had been achieved by moving up-market, with enhanced product quality pushing prices up. Despite meticulously maintaining the value proposition across the range, the strategy left room for new discounters to enter the market. 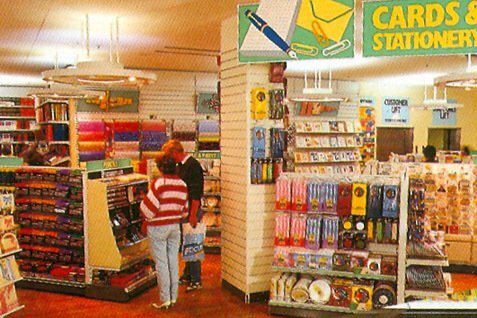 In the 1990s Woolworths and Smiths faced new challenges from those selling very basic lines at rock-bottom prices. 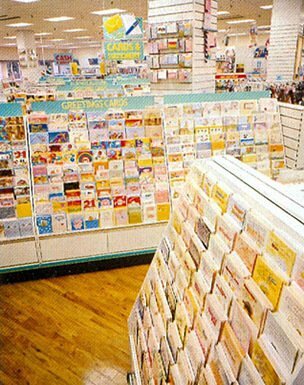 Cards and Wrap got new fixtures, items from leading suppliers and more space. 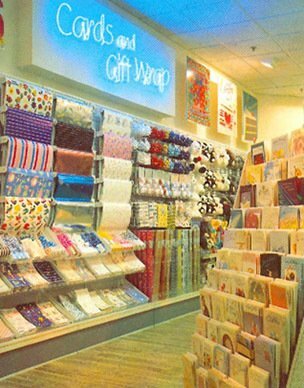 The goal was to create a convenient one-stop gift shop. The elegant range returned high margins, and was a major departure from the chain's value roots. Sales were good. Time-starved, well-to-do shoppers bought boxed chocolates, cuddly toys, a video or a CD at Woolies with sellotape, wrapping paper and a card. By the early 1990s the parent company's CEO, Sir Geoffrey Mulcahy at Kingfisher, started to challenge the Directors about value for money, reminding them of Woolworths' heritage of low prices and encouraging the development of own-brand products to redress the balance and every day low pricing ('EDLP') across the store in place of frequent half price and three for two promotions. Woolies Buyers responded with a good (budget), better (standard) and best (luxury) strategy that offered keener entry prices. 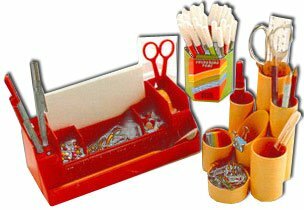 The CEO's challenge also lay behind a new range of own label 'Colourplay' kids items similar to those from Crayola, but at much lower prices. These proved an instant hit. 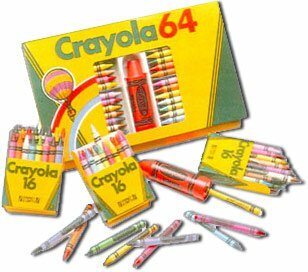 Each item sold generated significantly more profit than its Crayola equivalent, proving that sometimes 'less is more'.